I started making today's project as a good-bye gift for one of my co-workers, and now I'm obsessed and want to make more and more! Make sure to read right through, because I have another excellent gift giving version below! 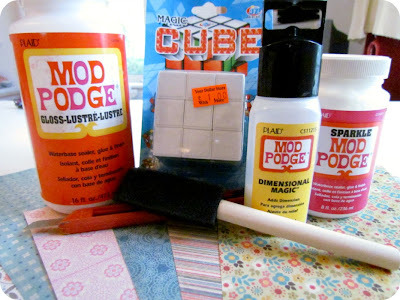 This is your basic Mod Podge project, just like the Pretty Dominoes from a couple of weeks ago, but I'll go through the steps for any newbie Podgers out there. 1) Cut out 9 squares of each of your 6 papers. Papers can be coordinating but make sure that they're different enough that they can't be mistaken for one another. My squares are 16mm X 16mm. 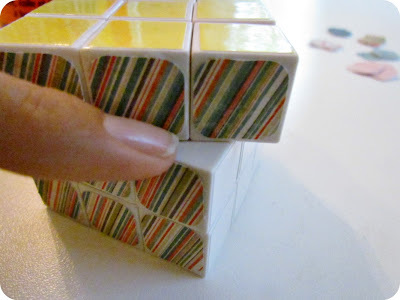 Measure the squares on your cube before you start to make sure they aren't different from mine. 2) You can peel the stickers off of your cube if you want, or you can just go right over top. Start with one side and one set of paper squares. 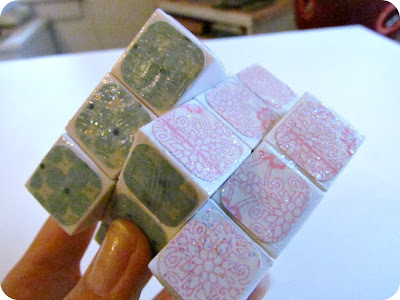 Just paint some Mod Podge onto the back of each of your squares and place onto the cube. much better because the squares are so small. 3) Continue with the other sides and the other papers. 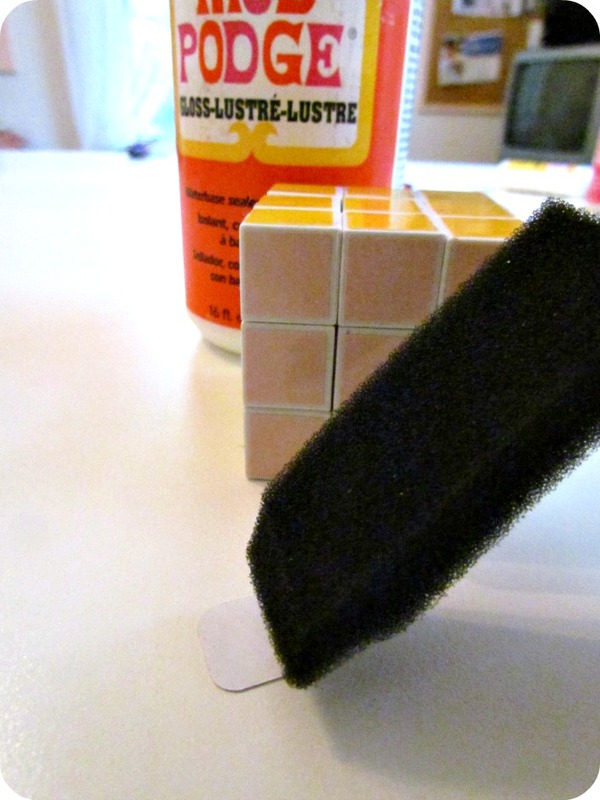 Every once in awhile twist your cube to make sure you're not gluing it together. Wipe any excess glue off and continue. 4) Once you're all done, go back and add a topcoat of Mod Podge to seal in all of the pieces of paper. 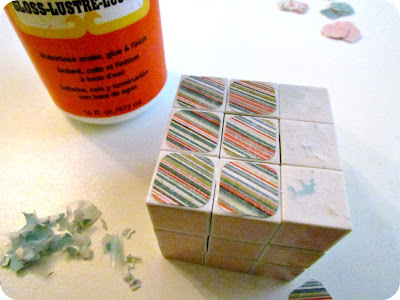 You can use regular Mod Podge but I decided to go crazy and used Mod Podge Sparkle!! hee hee! Look at all the sparkle!! 5) Once that's dry you can go back one more time with Dimensional Magic if you want a real 'resin' look, just like we did with the dominoes. That's it! So pretty right! But here's how you can make it extra special...use photos instead of papers. For my friend's retirement party I made him one with the people he was closest to at work. If you have more than six people you could just photograph people with six different coloured backgrounds, or wearing the same coloured T-shirt. I think these will make excellent stocking stuffers at Christmas time! I can't wait to make more! You can also get the prints from Shutterfly, maybe even throw in a fun Christmas card too! Hope you enjoyed this and it inspires you to make your own. 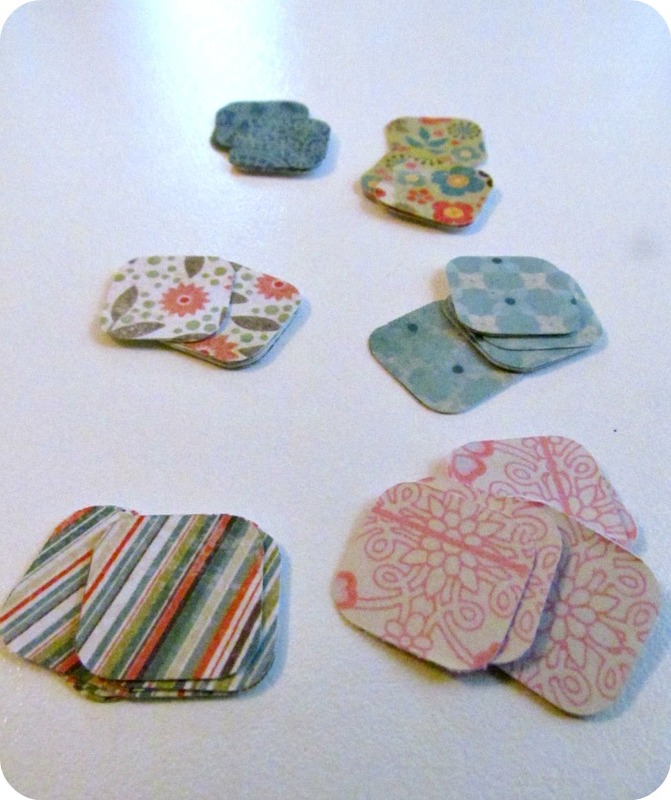 Have a crafty week everyone! So cute!! !It's a great idea to Christmas gifts! I LOVE the idea of photographing 6 different coloured t-shirts. I'm seriously wondering if I could pull that off for my husband's Christmas presents. I love it!! I'm so glad that I'm following you Tamara! I love this idea...fun, unique and personal. Thanks for sharing on Overflowing with Creativity! 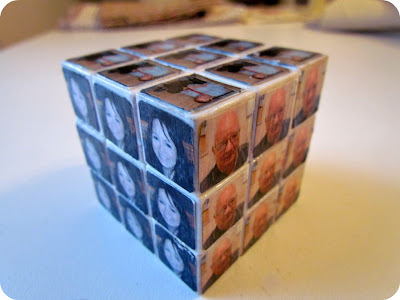 WOW, this is so cool, that can make a perfect gift, with photos,what a great idea! What a creative idea! I love the idea of putting pictures on it. BRILLIANT idea to use the photos! I love it! that really is terribly clever!! I just pinned this and can't wait to try it!! Very pretty and clever. If only I had ever learned the secret to the rubik's cube. SOOOOO cute! 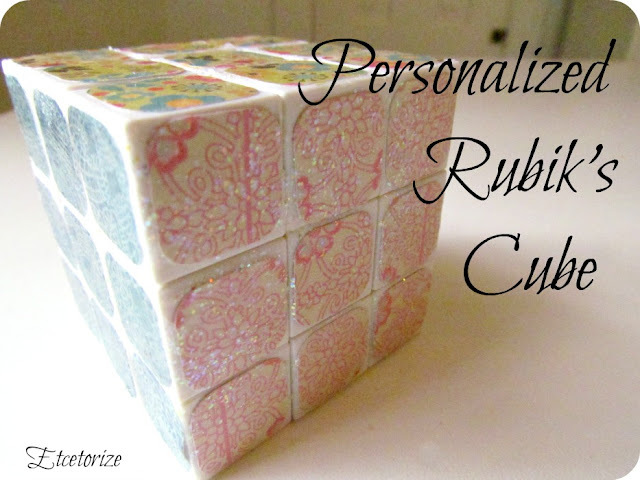 Next time a see a rubic's cube at a thrift shop I am sooooo picking one up....!